Three of Bendigo’s finest young solo performers, doing their thing in Hargreaves Mall to help promote this year’s Bendigo Blues & Roots Music Festival, with thanks to the Mall Activation Team of City of Greater Bendigo. Rhyley McGrath is a talented young Bendigo-based musicians garnering praise and winning fans across Victoria. guitarist in mid-2016. Gigs in central Victoria, and then further around the state soon followed. He plays predominantly rock, blues, funk and jazz styles, covers and originals. His playing style has been described as similar to that of other blues guitarists such as Gary Moore, Rory Gallagher and Robben Ford. Rhyley plays solo acoustic sets and with his ever-evolving band. 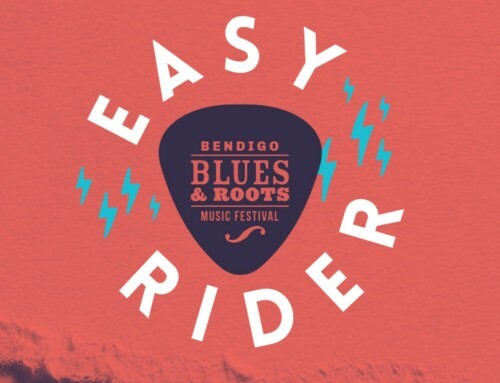 He also embraces the Bendigo ‘music jam’ culture and has shared the stage with acts including Birdhouse, Harlem, Geoff Achison, John McNamara and the Old Buzzards. Rhyley McGrath is an exceptional young talent, with a maturity and playing style beyond his years. 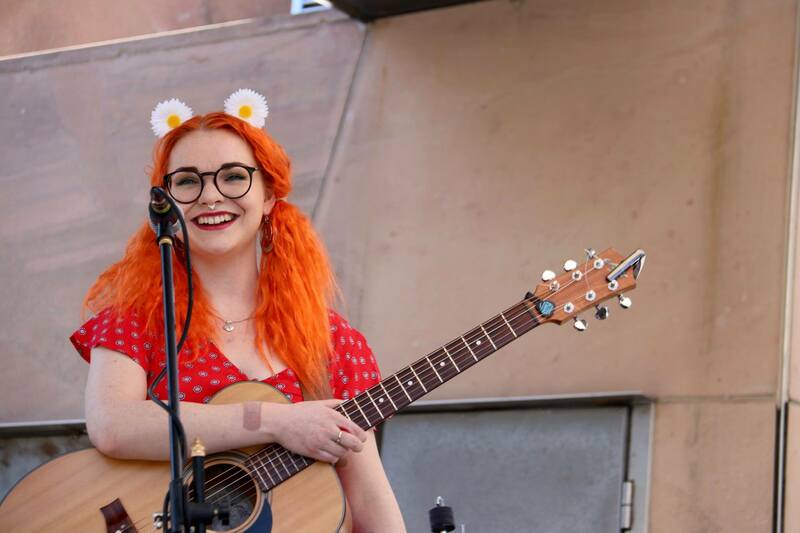 At just 20 years old, Sherri Parry is already making a name for herself as one of the most exciting singer songwriters in the Victorian folk scene. 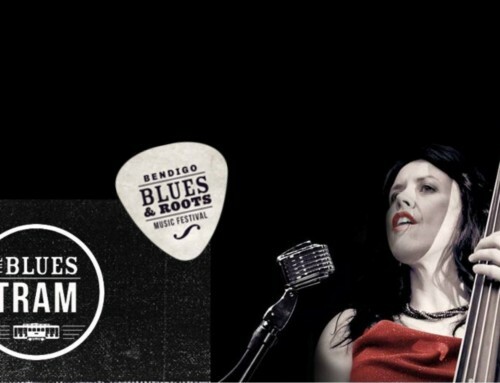 Sherri began her career at the age of 12, playing open mics and small gigs in central Victoria. She soon began to gain recognition for her talent, winning awards for both her songwriting and performance skills. 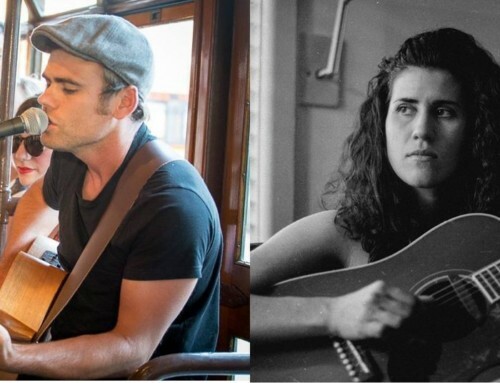 It was around this time Sherri’s music caught the attention of accomplished singer songwriters such as Grim Fawkner and Tom Lee Richards, who have since acted as mentors to her. Sherri Parry’s music showcases both composition skills and world views well beyond her time, and her live performances are nothing but a testament to that. Delivering intimate, ethereal performances that never fail to leave audiences spellbound. Parry debuted her highly anticipated first EP, ‘EQUAL’ in October 16, sharing six songs exploring people, life and relationships. At 21 years of age, Bill Barber is one of the most exiting artists in the Australian Blues scene. A move to Bendigo at 16 saw Bill take enormous steps towards a career in music, appearing on local television and radio. 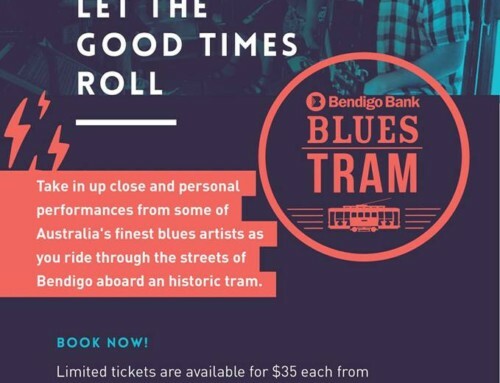 It’s around that time that Bill’s talent caught the attention of award winning Australian blues legends Geoff Achison and Lloyd Spiegel who have since mentors and had Bill as both support act and special guest at countless shows. He has also supported Wolfmother, Shane Howard, Yirrmal and James Blundell among others. In July 2017, Bill won the MBAS Blues Challenge, making him the youngest winner in its history. Which sent him sent to Memphis to compete in the international Blues Challenge in January 2018 where he was one of the semi – finalists out of over 200 acts across the globe. 2018 also saw the release of an EP recorded at the Sun Studios in Memphis; which has discovered legendary musicians such as Elvis, Johnny Cash, BB King, Howlin Wolf, Jerry Lee Lewis and Rufus Thomas. What sets Bill apart is his dedication to the Blues. While most young artists enter the Blues via the roots music movement, Bill’s passion is for Blues in its true form. 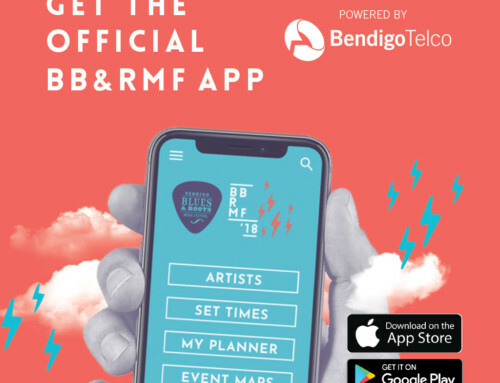 Look for these phenomenal young artists and many more at this year’s Bendigo Blues & Roots Music Festival, taking place 8-11 November 2018.